Ingodite: Mineral information, data and localities. Probably identical to "Mineral L" reported from eastern Yakutia by Gamyanin et al. (1978). Probably also identical to Unnamed (Bi Telluride Sulphide IV). Bismuthinite 2 photos of Ingodite associated with Bismuthinite on mindat.org. Eulytine 2 photos of Ingodite associated with Eulytine on mindat.org. Clarke, G.M. (1974) The mineralogy and geochemistry of tellurium with special reference to the bismuth sulphotellurides. Unpublished MSc thesis, University College, Cardiff (probably the 'Mineral CF'). Gamyanin, C.N., Leskova, N.V., and Bochek, L.I. (l978) Composition and properties of bismuth sulfotellurides from deposits of eastern Yakutia. International Mineralogical Association, 11th Session. Novosibirsk. 1978, Sulfosalt Vol. : 127-135 (19S0) (in Russian); in Dunn, P.J., Fleischer, M., Langley, R.H., Shigley, J.E., Zilczer, J.A. (1985): New mineral names. 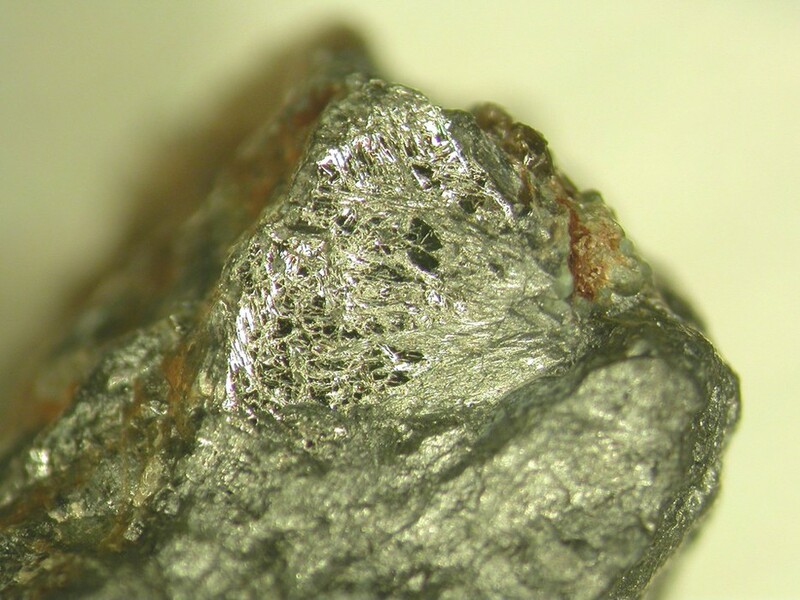 American Mineralogist: 70: 881 (concerns "Mineral L"). Zav'yalov, E.N. and Begizov, V.D. (1981) New bismuth mineral ingodite Bi2TeS. Zapiski Vsesoyuznogo Mineralogicheskogo Obshchestva, 110, 594-600. Cepedal, A., Martinez-Abad, I., Fuertes-Fuente, M., and Lima, A. (2013) The presence of plumboan ingodite and a rare Bi-Pb tellurosulfide, Pb3Bi4Te4S5, in the Limarinho Gold deposit, Northern Portugal. Canadian Mineralogist, 51, 643-651. William (Bill) R. Howard (2007) Structural setting and geochemical correlations in bismuth (sulfo) telluride-native gold–bearing veins, CLY Group, British Columbia, Canada: A reduced intrusion-related gold system. Geologian tutkimuskeskus, Opas 53 – Geological Survey of Finland, Guide 53, pp 45-50; Cook, N. J., Ciobanu, C. L., Spry, P. G., & Voudouris, P. (2009). Understanding gold-(silver)-telluride-(selenide) mineral deposits. Episodes, 32(4), 249.; http://aris.empr.gov.bc.ca/ArisReports/29864.PDF; Cook, N., Ciobanu, C., & Howard, W. (2007). Bi-tellurides in gold veins BiTel Knoll (CLY prospect) southeastern British Columbia, Canada. Tsunoda and Shimizu (1995) Shigen-Chishitsu, 45, 111-120. Gołębiowska, B., Pieczka, A., Parafiniuk, J. (2011): New data on weathering of bismuth sulfotellurides at Rędziny, Lower Silesia, Southwestern Poland. Mineralogia Special Papers: 38: 95-96; Pieczka, A., Gołębiowska, B., & Parafiniuk, J. (2011). Gold in sulfide-telluride assemblages at Rędziny, Rudawy Janowickie Range. Gold in Poland, AM Monograph, (2), 119-134. Cepedal, A., Martinez-Abad, I., Fuertes-Fuente, M., Lima, A. (2013): The presence of plumboan ingodite and a rare Bi-Pb tellurosulfide, Pb3Bi4Te4S5, in the Limarinho Gold deposit, Northern Portugal. Canadian Mineralogist, 51, 643-651. M. Lupulescu, G. Simon, D.H.M. Alderton, E.B. Watson (1993)-Preliminary data on ingodite from Valea Seaca (Bihor Mts. ); a first occurrence in Romania. Rom.J. of Mineralogy,v. 76, Suppl. 1, p. 27-28. Zav'yalov, E.N. and Begizov, V.D. (1981) The new bismuth mineral ingodite, Bi2TeS. Zapiski Vsesoyuznogo Mineralogicheskogo Obshchestva, 110, 594-600 (in Russian) [Mineralogical Abstracts, 33, 82M/3350; American Mineralogist, 62, 855 (1982)]. ; Zav'yalov, E.N. and Begizov, V.D. (1981) Once more on the problem of grünlingite. 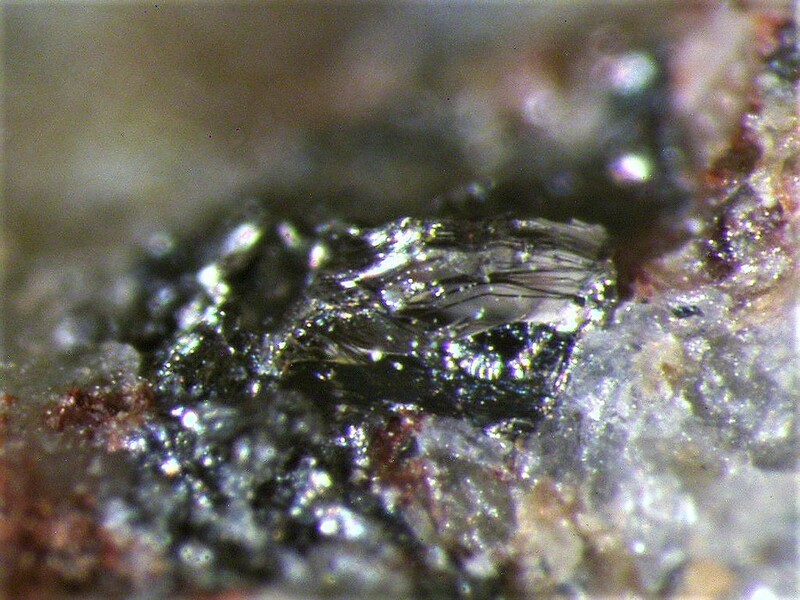 Zapiski Vsesoyuznogo Mineralogicheskogo Obshchestva, 110, 633-635. [Mineralogical Abstracts, 33, 82M/3316; American Mineralogist, 62, 855 (1982)]. ; Cooper, M.P. and Stanley, C.J. (1990) Minerals of the English Lake District: Caldbeck Fells. Natural History Museum Publications, London, 160 pp. (referring to Zav'yalov and Begizov, 1981). ; Cook, N.J., Ciobanu, C.L., Wagner, T., and Stanley, C.J. (2007) Minerals of the system Bi–Te–Se–S related to the tetradymite archetype: review of classification and compositional variation. The Canadian Mineralogist, 45(4), 665-708. Anthony, J.W., et al (1995), Mineralogy of Arizona, 3rd.ed. : 259.